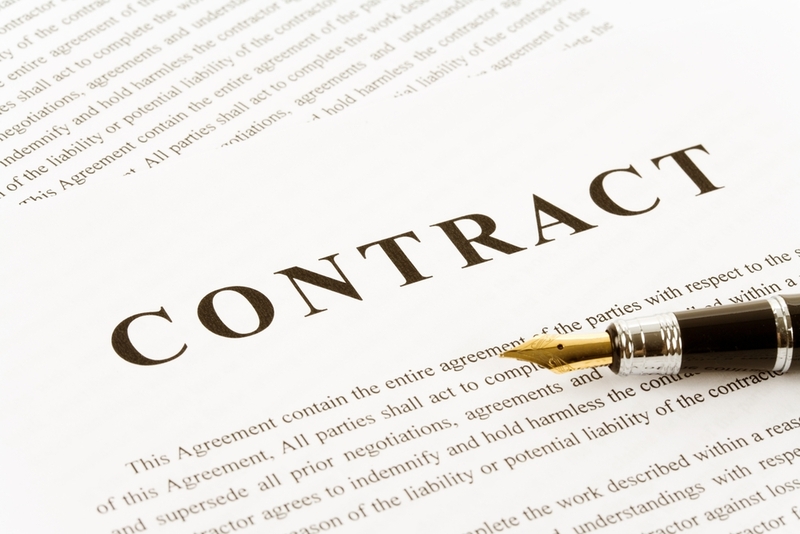 Contract management can often be regarded as pure formality between the two parties entering a contractual relationship. However, contract management processes are essential in determining the sustainability of any business arrangement. As a contract manager, you’re responsible for drafting the contract and any other related document. This is just one of your many responsibilities. Over time you should develop a checklist of steps so that your contract management processes are not only documented but also clearly outlined. Editor’s Note: To learn more, download our contract management best practices. Here are 6 strategies for effective contract management. Don’t agree to anything or sign anything without first checking out the other party and its legal background. Everybody deserves the benefit of the doubt, but it’s important to establish that the party is indeed legally able to enter a contractual relationship. If there are existing commitments, take the time to review those relationships and obligations and determine the impact that a new agreement would have on them. As part of the kickoff meeting, it’s essential that all parties are clear on the persons that have authority to make final decisions. While it may not be necessary that a senior manager or member of the board of directors is present in every single meeting, it needs to be clear who has the authorization to act on their behalf. The channel for review must be clearly established to avoid any potential misunderstandings and expedite reviews. Also, take the time to point out when specific questions need to be answered by the approving officer for the contracts to be complete. That way, representatives will be aware and can help gather the necessary answers. Leverage your contract management system to customize your contract lifecycle to the specific needs of the contractual relationship. It’s a good practice to start with outlining the scope statement and then establish the documents needed. From there, you can organize the necessary processes, deliverables, and review periods. At this point, it is also important to determine key pieces of information that your company needs from the other party in order to develop an accurate and complete contract. If gathering the answers to those questions could become major bottlenecks, take preemptive measures. Clients often press for accelerated schedules, so make sure you budget adequate time for drafting, review, discussion, revision, and completion of deliverables. Take time during the kickoff meeting to mutually agree on the length of review periods. Make sure to hold parties liable for timely revision and indicate that additional review time will affect subsequent processes and deadlines. And of course, have such agreements in writing. Time is money. If a contract falls apart or suffers delays, your company may have to incur additional costs or use additional man hours. This jeopardizes your projections and budgets, not to mention other business opportunities. Make sure that the other party is aware of the consequences that delays have on your company. Particularly, your scope statement should include specific clauses that provide details about change requests. For example, what can be defined as a change request, applicable cost ranges, how change requests are processed, and how changes would affect existing timelines. Also, include in your scope statement details about what would be considered a new project request. Once the documentation is finalized and everybody is ready to sign, it’s quite common to move on to the next project right away. When possible, don’t skip the post-execution documentation and evaluation stages of any contract. Schedule an internal meeting with team members to determine pain points, analyze their causes, and evaluate the measures used. Going through this process may shave considerable time when caught in similar situations in the future. These types of post-execution documents need to become part of the library of files for all of your clients in your contract management system. Six effective strategies for more effective contract management are to do a background check on the other party, determine a point of contact for both parties, establish the contract lifecycle, agree on the review processes, outline consequences of delays, and keep documentation of how the process went.